Podgorica is the capital of the Republic of Montenegro. With 200.000 inhabitants it makes almost 1/3 of entire population in the state. 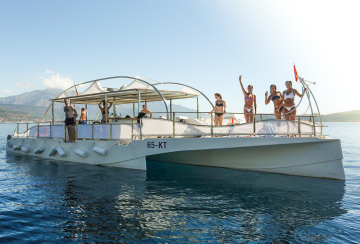 It is located at the crossroads of several important roads, which are flowing valleys of Zeta, Morača and Cijevna, in Skadar Lake basin and near the Adriatic Sea, in a fertile plain with favorable climatic conditions. 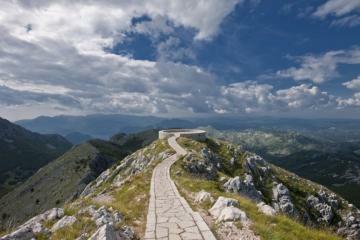 Podgorica lies on five different rivers, of which, the most significant are Ribnica, Zeta and Morača. 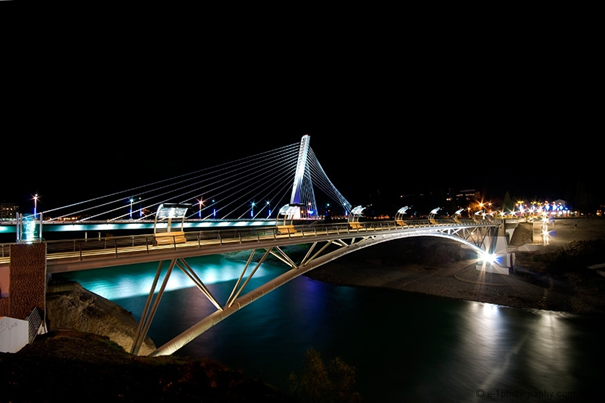 Today, Podgorica is the road communication hub, the economic center and the seat of numerous institutions of the republic’s state administration, culture, science, education health and information, museums and galleries. Four different names (changed five times) that this town has borne through history are the testimony of its antiquity. 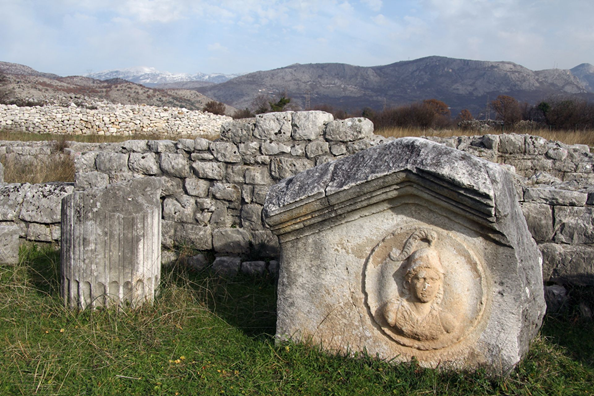 In Roman times it was called Birziminium, in the 12th century Ribnica (named by the river), in 14th century Podgorica, after World War II the city was named Titograd by the former president of Yugoslavia, and finally, in 1992. It was renamed to Podgorica again. City of Duklja is located about three kilometers northwest from today's Podgorica, on a flat plateau between the rivers Zeta and Morača. For that time, Duklja was a big city, with 8-10 thousand inhabitants which were resolved in the basic utilities: water supply, sewerage, street. The relatively high population density in the area that had little more than ten kilometers in diameter, conditioned by geographical location, favorable climate and economic conditions and defensive positions, as for this time was of great significance. Roman power in Duklja strengthened in the first century, when the city was conquered by Roman legions after a long battle with the Illyrians. Romans suddenly rose, and she soon became a political, cultural and religious center of the province Prevails, which is decisive impact on changing the structure of the population and the socio-economic relations. 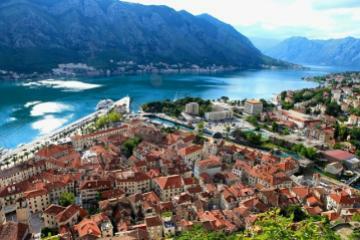 The arrival of new residents meant the opening of the city, especially to the Adriatic coast. Duklja developed trade links with Italy, Dalmatia and eastern regions, and later with Macedonia and Greece. At the beginning of the 6th century Duklja experienced catastrophe earthquake, a 609 year it was robbed and then destroyed by the Avers and Slavs. It is mentioned for a long time after, but in the 10th century, more and more instead of the old, appears new name - Zeta. Since ancient times, this area has been suitable for the formation of human settlements, so the settlement existed here in prehistoric times. The oldest remains of material culture in the area belonging to the Neolithic Age. Further development has enabled the emergence of organized human settlements that will survive many events. 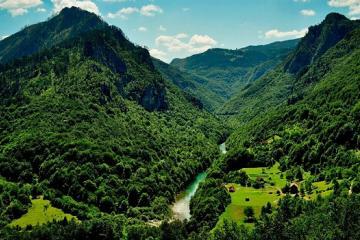 In the Illyrian age, the area of ​​Zeta valley called Bjelopavlić was known by the members of two Illyrian tribes - Labeats and Dokleats, which directly influenced the genesis of local settlements. 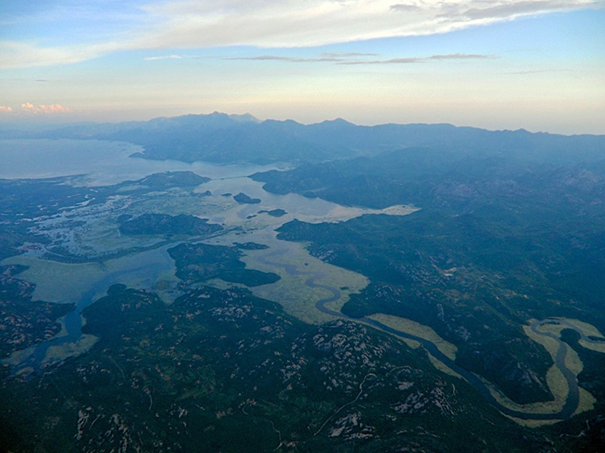 Labeats inhabited the area from Skadar to today's Podgorica. They had their own fortress Meteon (todays Medun) where they have developed structure for living and the military. 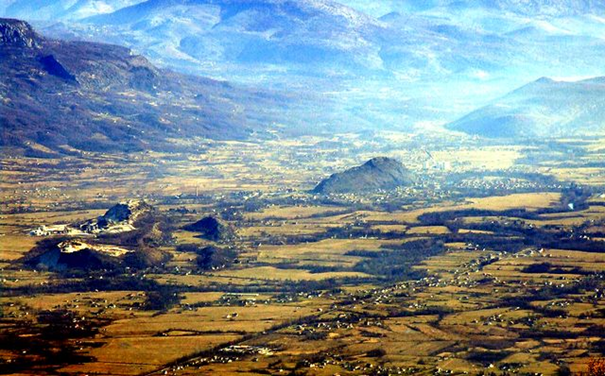 Dokleats also inhabited the valley of the Zeta River, and thanks to the fertile plain and favorable geographical and traffic position, experienced fast economic growth. Their biggest settlement was Doclea (Duklja). Starting from the 5th century, from the arrival of the first Slovenian and Aver tribes and the beginning of the disintegration of the Roman Empire, the area occur many major events. Many previous fortifications stop to exist, while new cities rose. Duklja was demolished among many other. Slovenian groups that inhabited the area were in constant fights with Byzantium, so it seem difficult for them to create a new state. In all the turmoil new settlement is created - Ribnica (named, probably, after the river Ribnica). 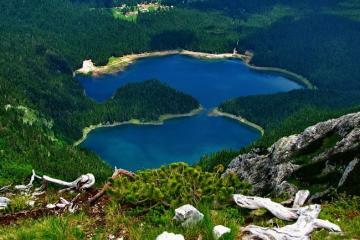 The first mention of Ribnica is related to the period Nemanjića. 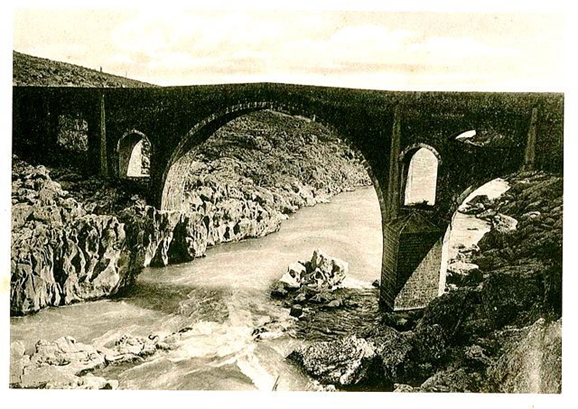 Geographic location and traffic had caused the importance of Ribnica, as the intersection of the main roads through which they maintained ties with the Western areas. When they finally settled in these parts, the Slavs, creating a new state, began to develop their culture and art. It was a culture that suited the medieval church and the feudal class. The first time the name of Podgorica is mentioned in 1326 in one court document of the Kotor archive. Podgorica was economically strong. 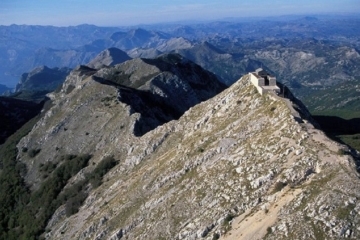 Trade ties between Dubrovnik and the State of Nemanjićs, which were highly developed, maintained the road that, via Trebinje and Niksić lead to Podgorica. 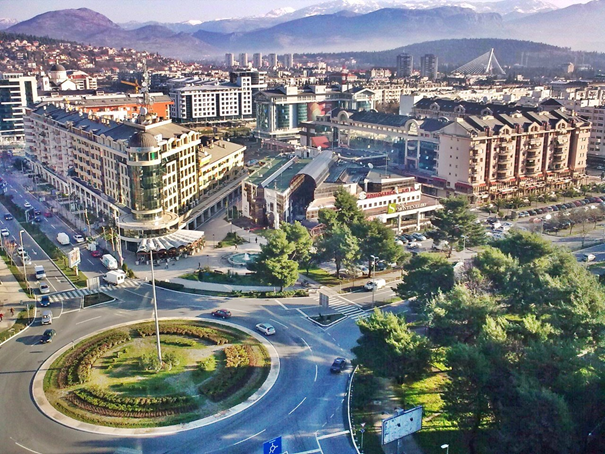 How is sited on the busiest crossroads, Podgorica was the center of a living flow of goods, retailers, couriers and other passengers, which improved its development, economic and military power and strategic importance. Turkish occupation of Podgorica 1474, interrupted the economic, cultural and artistic rise of the city. 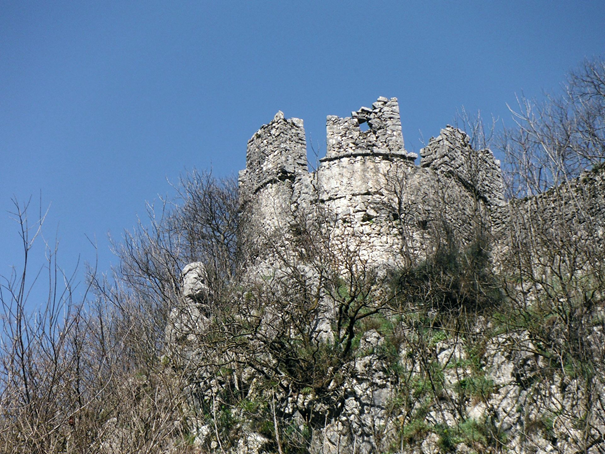 Turks in Podgorica built a big castle and former settlement with highly developed trade ties turned into the main defensive and attacking bastion against the rebellious tribes. From such a fortified city, with towers, gates and defensive ramparts, the Turks resisted all attacks. Based on the decisions of the Berlin Congress in 1878, Podgorica was annexed to Montenegro. This marked the end of four-centuries-long Ottoman occupation and the beginning of a new era in the development of Podgorica and Montenegro. The city is relatively quickly developed and grown into a strong market. They appear the first forms of capital concentration, and in 1904 he founded the first major financial institution - Zeta savings bank, which will soon turn into Podgorica Bank. Roads were built to all neighboring towns, and in 1902 Podgorica received the first significant commercial company - Tobacco Factory. 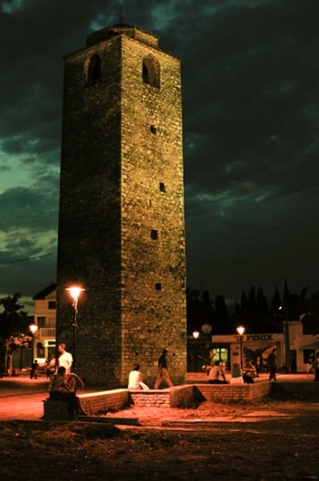 In the period between the two wars Podgorica has about 13 000 inhabitants. In World War II it was bombed over 70 times and totally destroyed, which resulted with about 4100 victims. Finally, Podgorica was liberated on December 19, 1944. 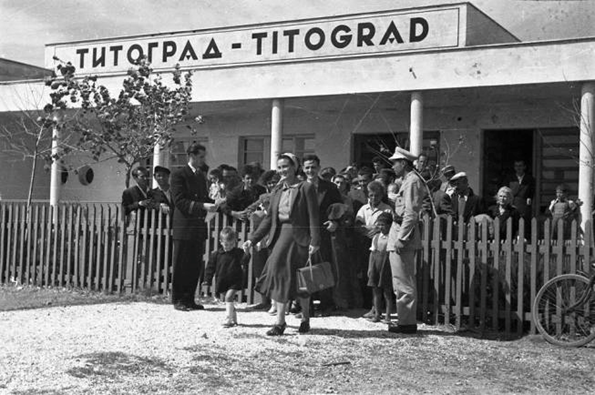 Under the name of Titograd, on July 13, 1946, became the capital of the Republic. This marked the beginning of a new life. In the forthcoming period, there was an overriding transformation of the city. Material, personnel and scientific-technical potential, vigorously develop education, established many new cultural and health institutions, and the city's modern roads and air connections associated with the entire country and abroad. 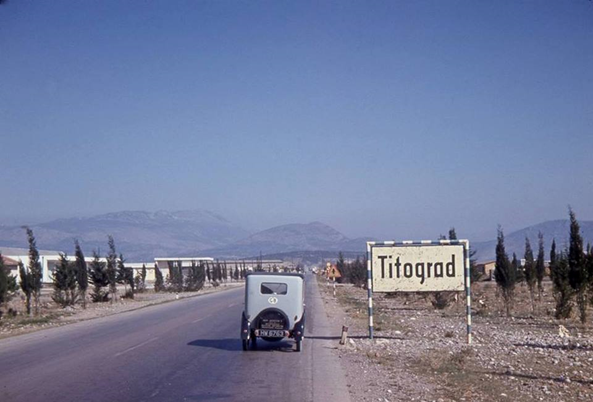 Titograd thus becomes the economic, socio-economic and cultural center of Montenegro. Name returned Podgorica on 2 April 1992.